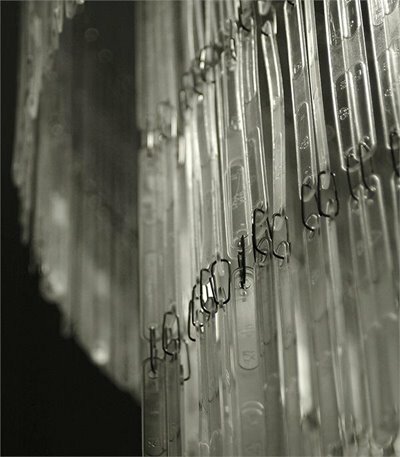 This 22″ x 16″ chandelier is made from recycled plastic spoons by Studio Verissimo of Portugal. Artisits Claudio Carduso and Telma Verissimo strive to make people smile with their creations. From a distance the chandelier looks like it is made from Lucite. 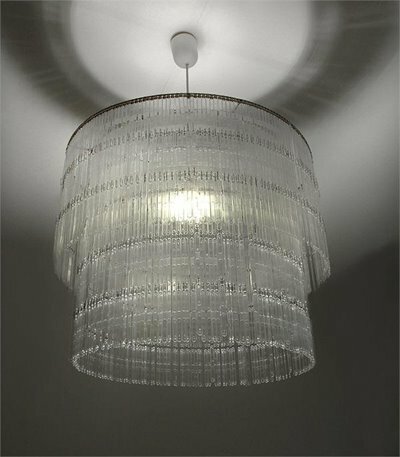 Very luxurious for only $300 from Eekowire. Place this in your eating area and you will have an instant conversation piece. I’d like to see an extra long chadelier with more lights inside. Pingback: etica 3.0 alpha — Blog — 18 Green DIY Lamps You Can Build Before Dark!